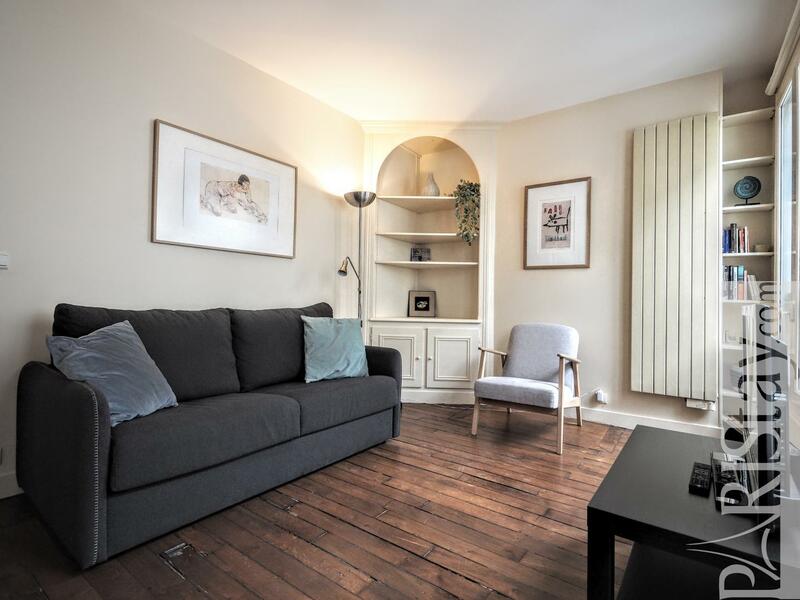 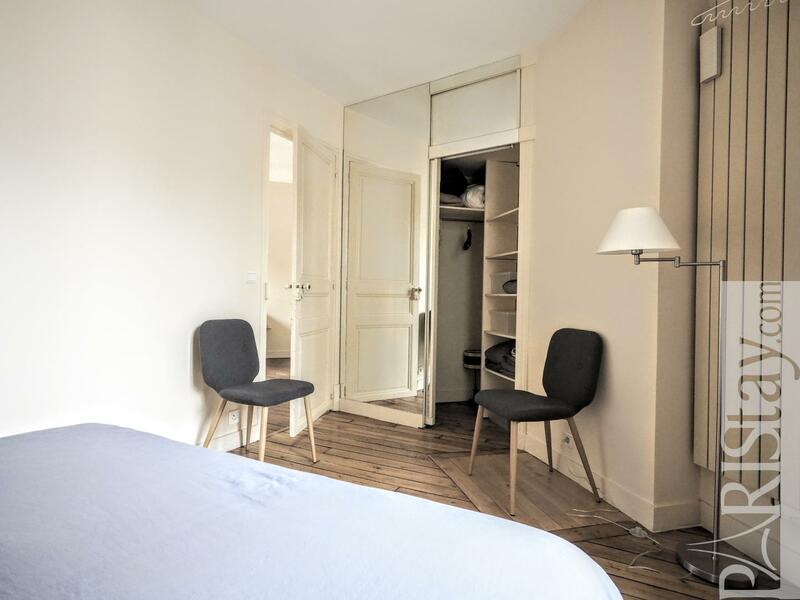 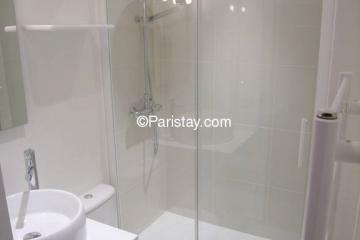 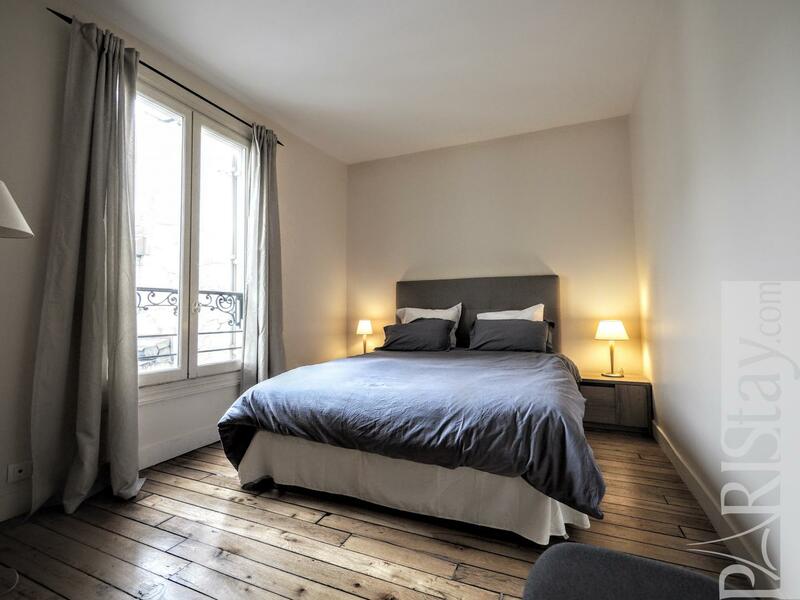 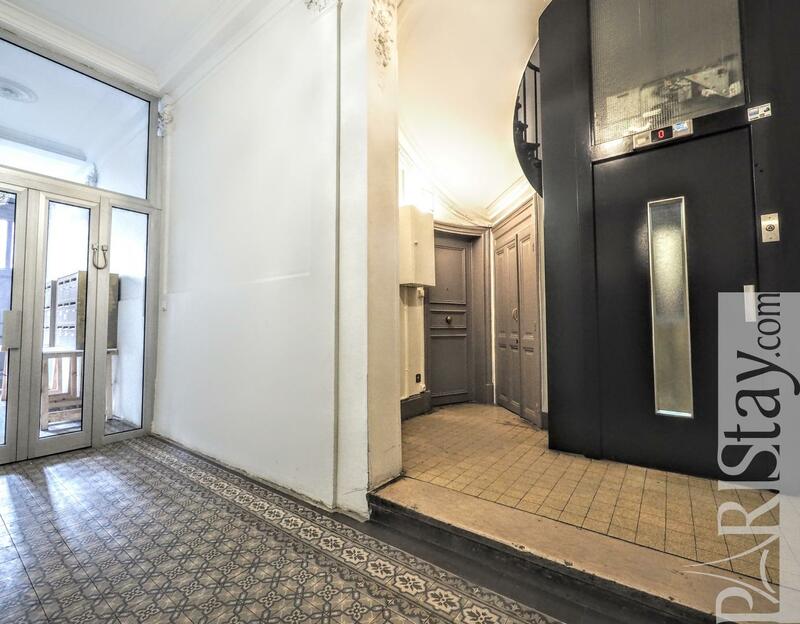 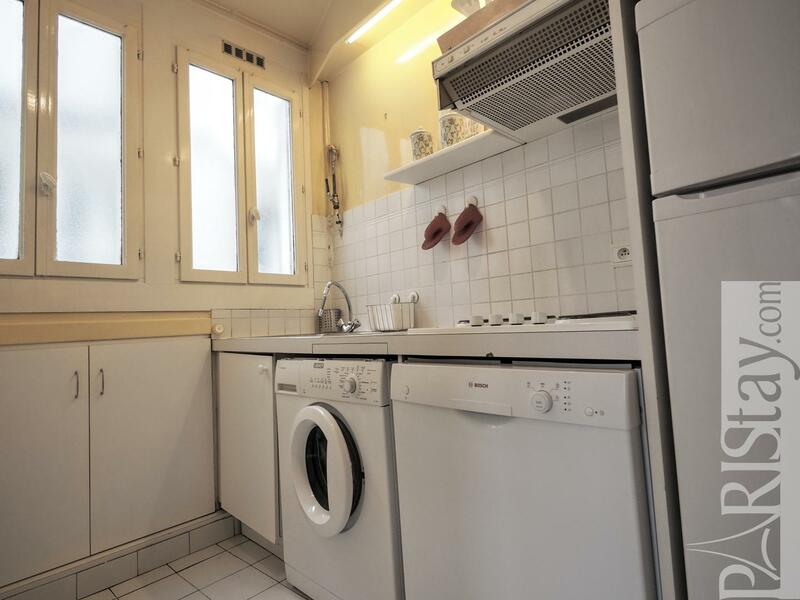 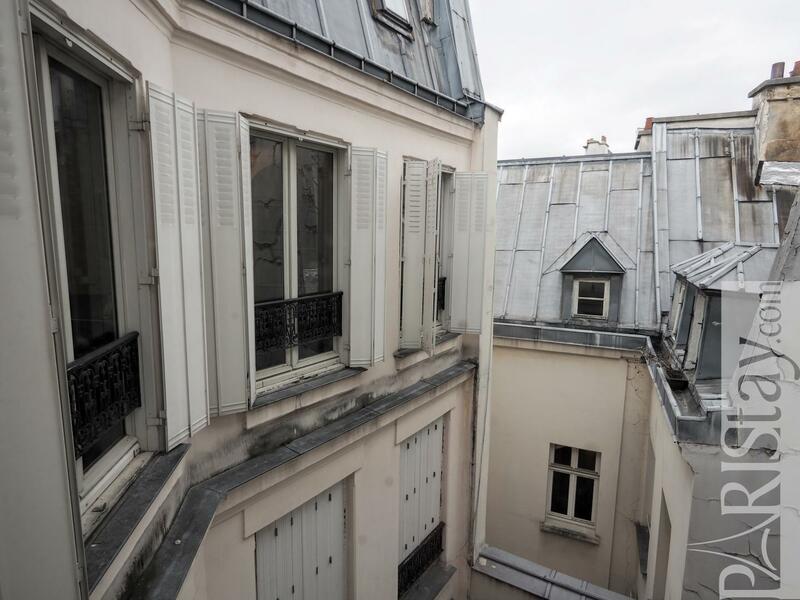 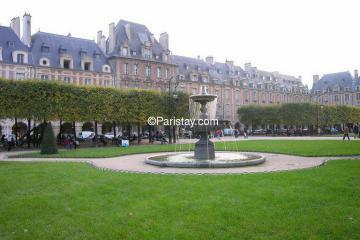 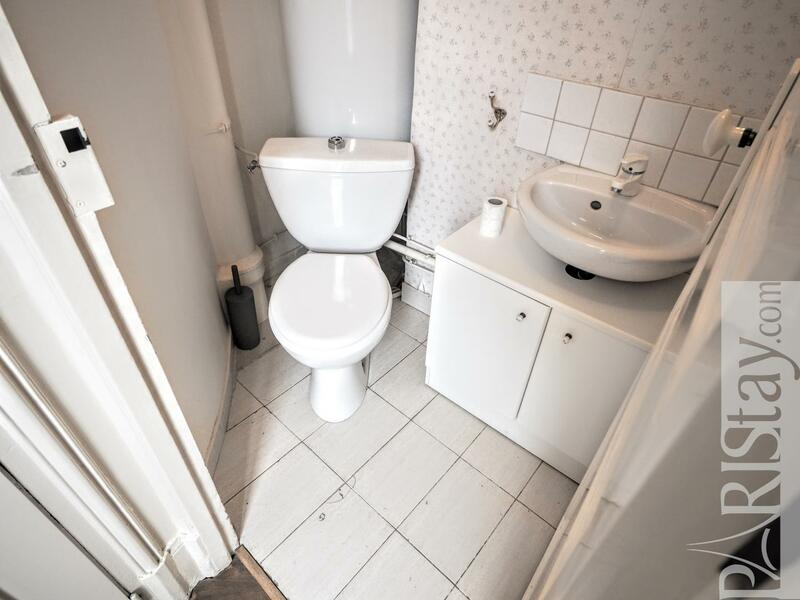 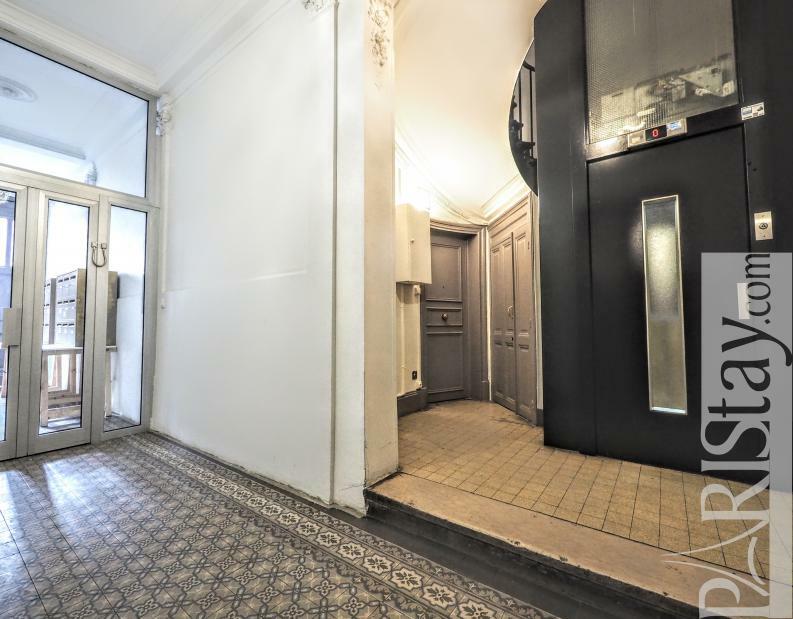 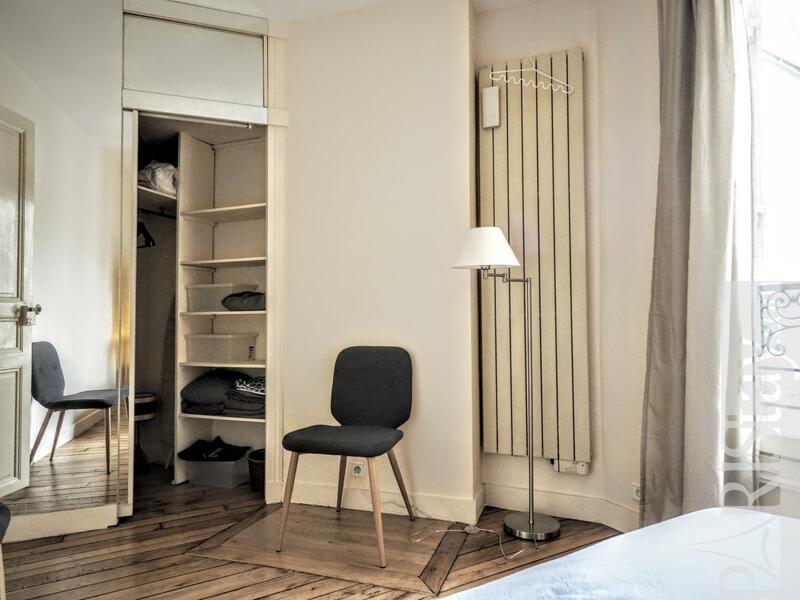 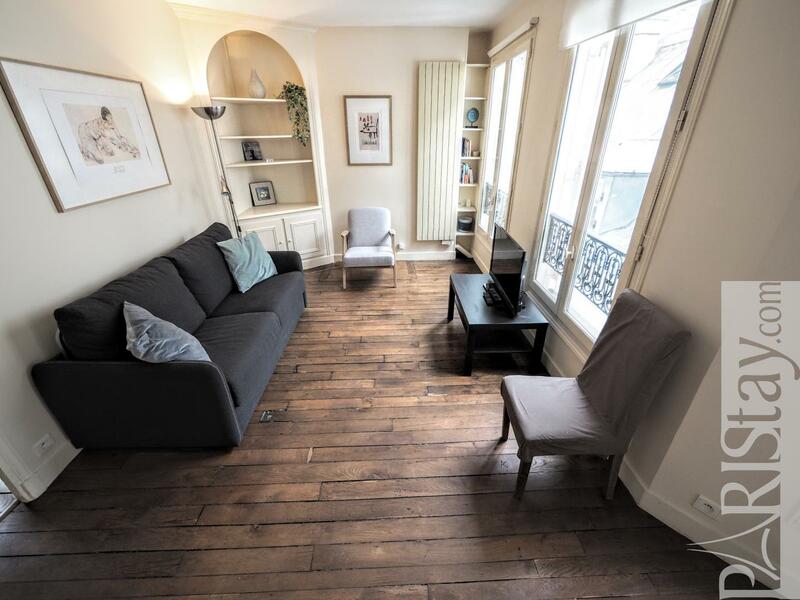 Quiet and cosy One bedroom apartment for rent in Paris based in the lively and lovely north side of Le Marais close to Place de la République. 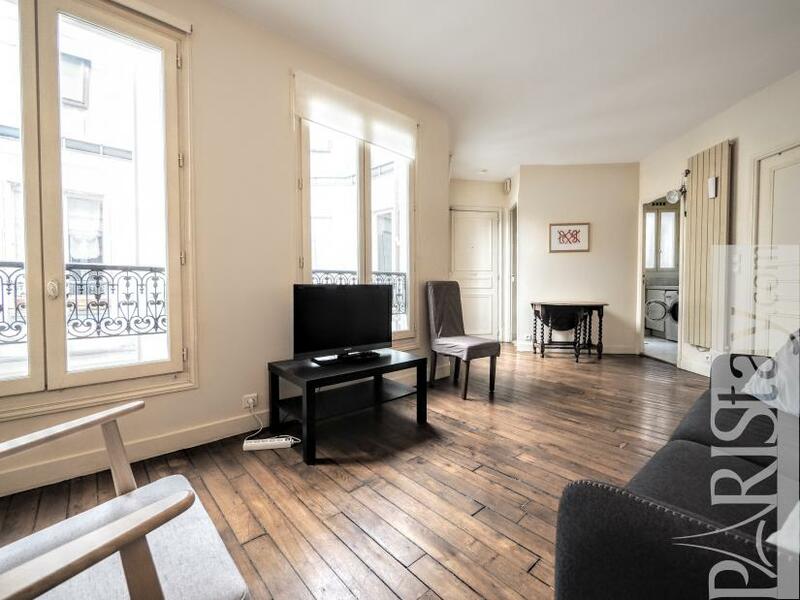 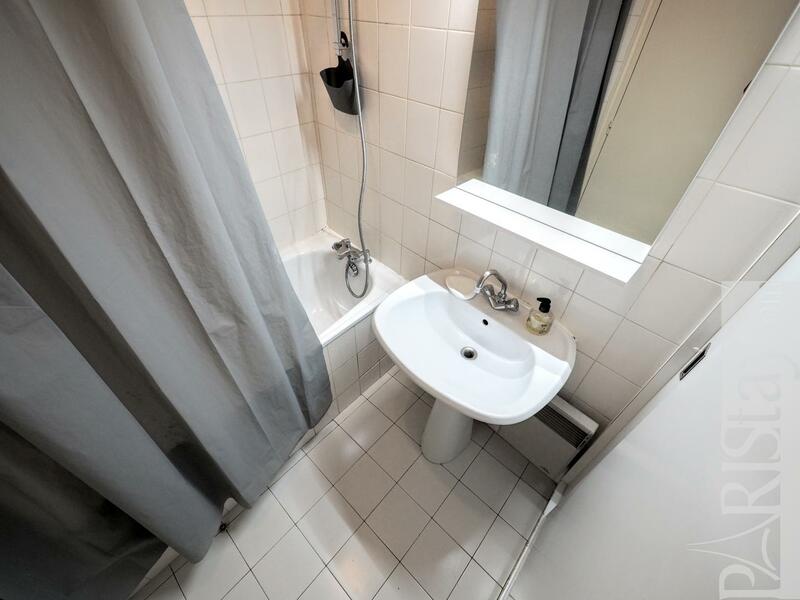 This central position, 2 steps from Beaubourg museum of Modern Art allows you to walk everywhere easily, or enjoy convenient transport lines around (Metro, bus, Velib bicycles). 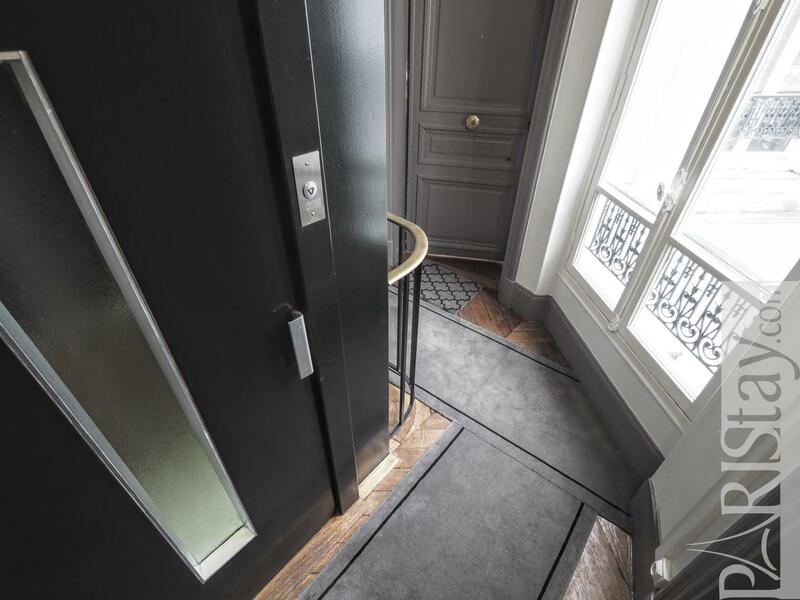 Don't miss the astonishing Musée des Art et Métiers that faces the building, to discover its unique collections of technological inventions as the famous Foucault pendulum. 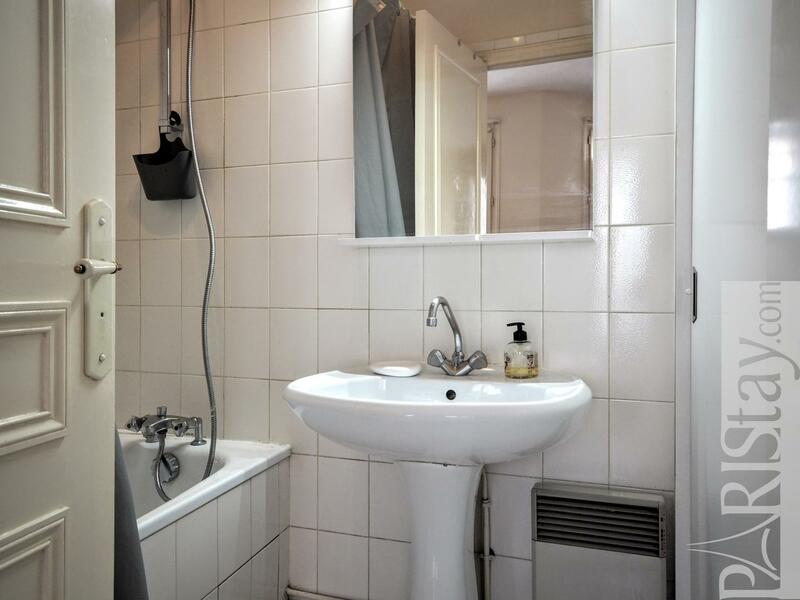 The flat is situated on the 5th floor with lift of a secure residential building (Entry code and intercom). 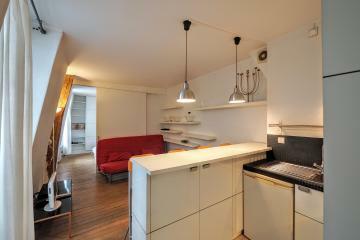 It has been designed and renovated to offers a spacious and bright living room that leads to all other rooms. 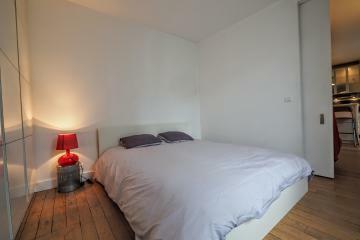 Spacious bedroom with a double bed and a large cupboard, bathroom with bathtub, equipped kitchen, separate toilet. 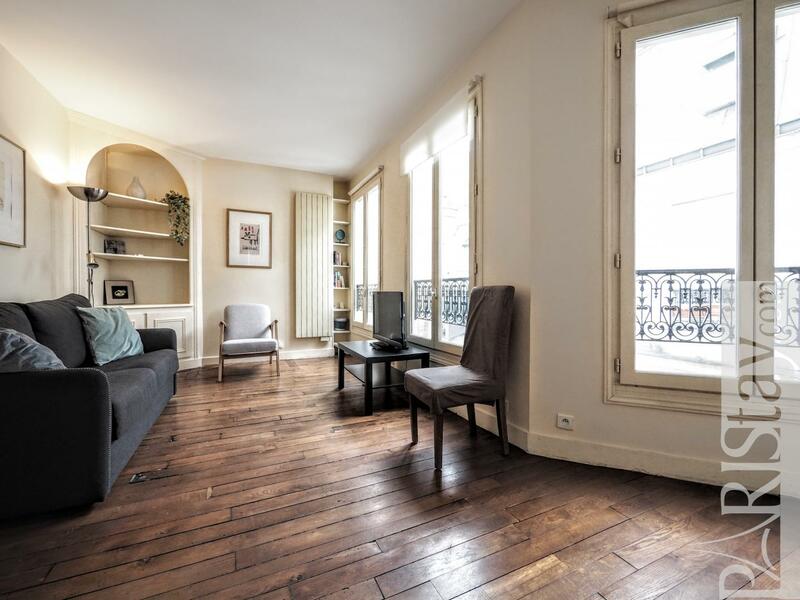 The living room has 3 large windows, beautiful hardwood floors, a sofa bed, and a dining table that seats 4 people. Full internet access is included. 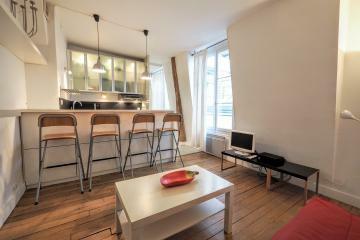 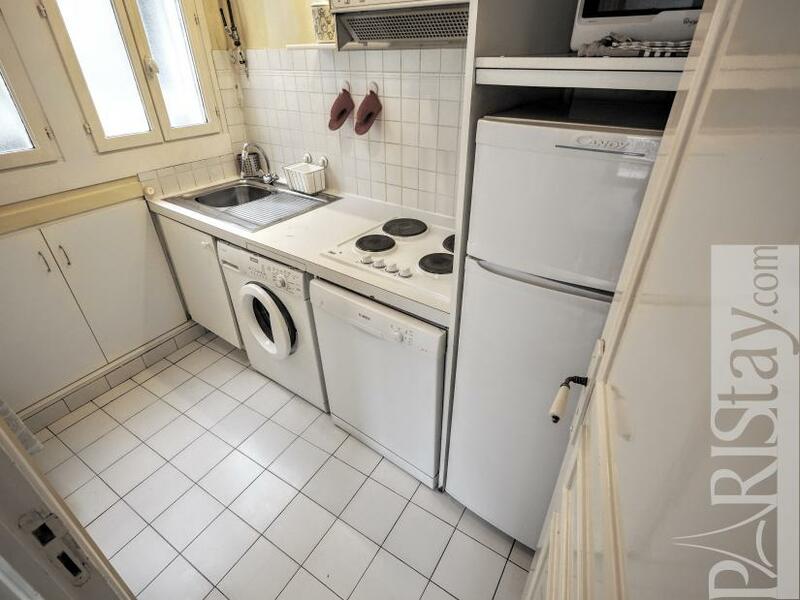 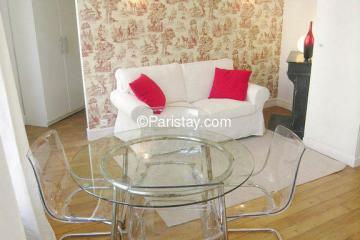 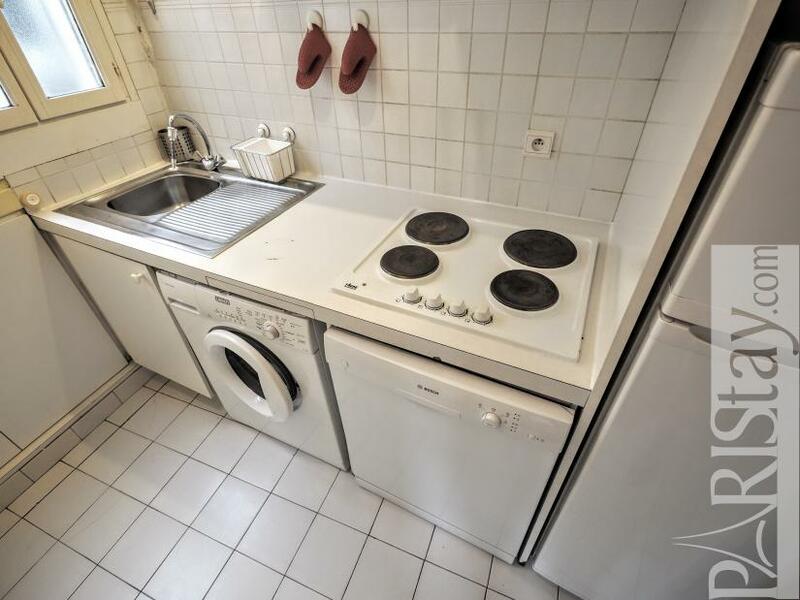 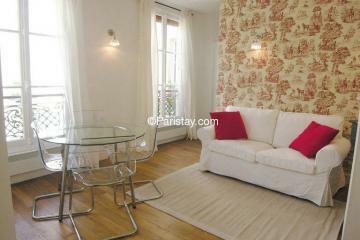 Perfect for long stay rentals in Paris. 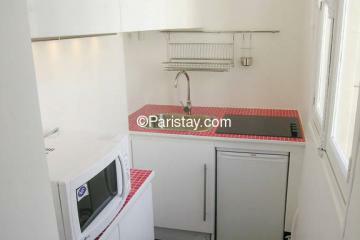 -PLEASE NOTE /There's 50E check in and 50E check out fees = total 100E on top of the rent. 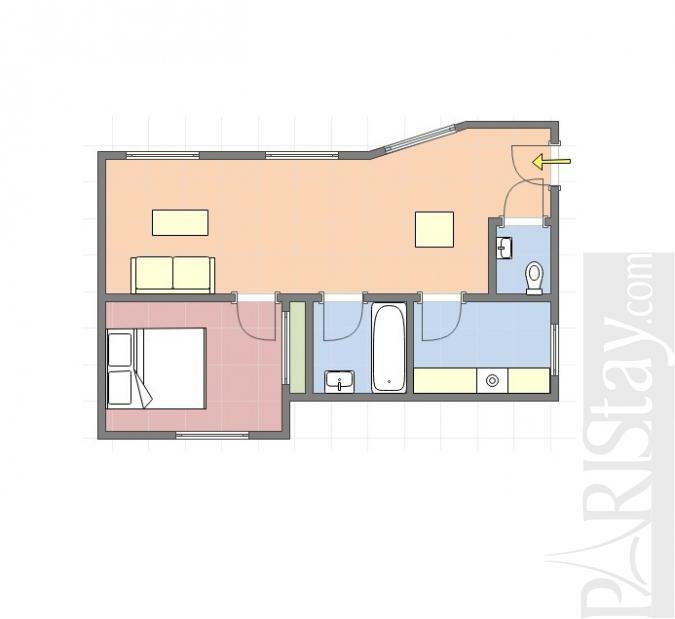 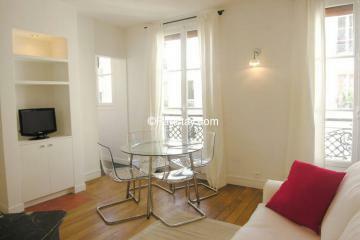 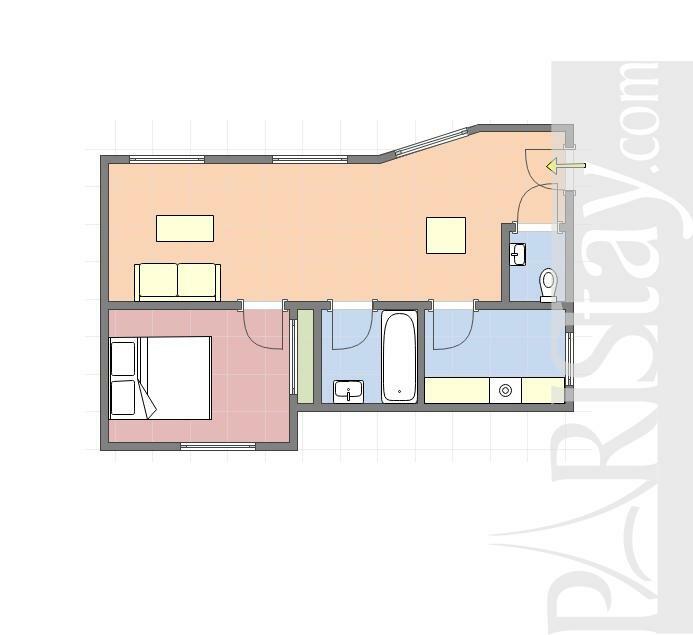 5 rd floor, with Lift, 1 bedroom Appartement, furnished, Approx: 40m² / 430 Sq.Ft.